Despite, or perhaps because of, its reputation for being delicious, Italian food is something that continually suffers from major misrepresentation around the world. But rather than focusing on flabby pizza or pre-shaved parmesan – don’t get me started on savoury, I could rant all day – I’m turning my attention today to all things sweet (surprise, surprise). We have the Italians to thank for the gorgeous jam-filled crostata, delicious biscuits like brutti ma buoni or cantuccini, wobbly panacotta, smooth semifreddo, numerous ways with ricotta cheese and of course their incredible gelato. Yet so many Italian restaurants around the country are churning out substandard offers that customers happily accept – sickly sweet ice cream, lurid cassata or tiramisu with the texture of shaving foam. Texture is crucial when it comes to what we eat. Biscuits should snap or be chewy, depending on their purpose, ice cream is only good when wonderfully smooth and tiramisu is best when it’s light yet creamy, guided to glide across your tongue by the right balance of fat before breaking into soft boozy pockets of coffee-soaked sponge. I’m not saying it’s impossible to get good tiramisu in the UK. Plenty of restaurants make lovely versions, sometimes adding in their own signature twist with an alternative alcohol or additional flavour. But if you’re unsure about tiramisu, if you’ve ever had a bad experience or you find it bland or boring, too thick, too foamy, too sickly, too sweet, I urge you to make it yourself at home. This recipe is simple and delicious. There’s no need to turn your oven on and you don’t even need scales if you have none to hand (as I discovered on last week’s Tuscan trip where tasting and measuring by eye were crucial after I failed to find any kind of weighing system in the kitchen). 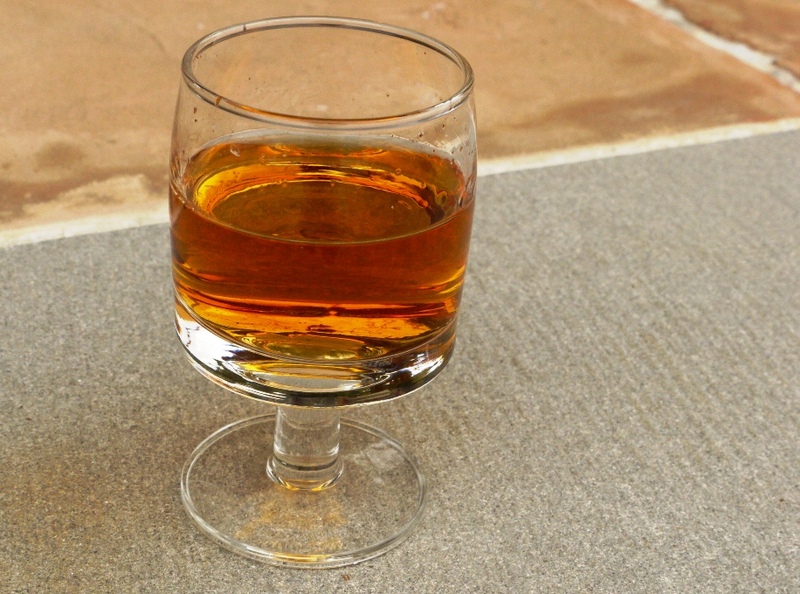 If you don’t have Vin Santo, swap it out for more traditional Marsala or a bit of rum or brandy. Throw in some chopped nuts for crunch. Lose the chocolate shavings if you like, they’re not completely traditional. However you decide to mix it up, the result will be a seriously good tiramisu. And then you will have lived. One forkful is never enough . . . 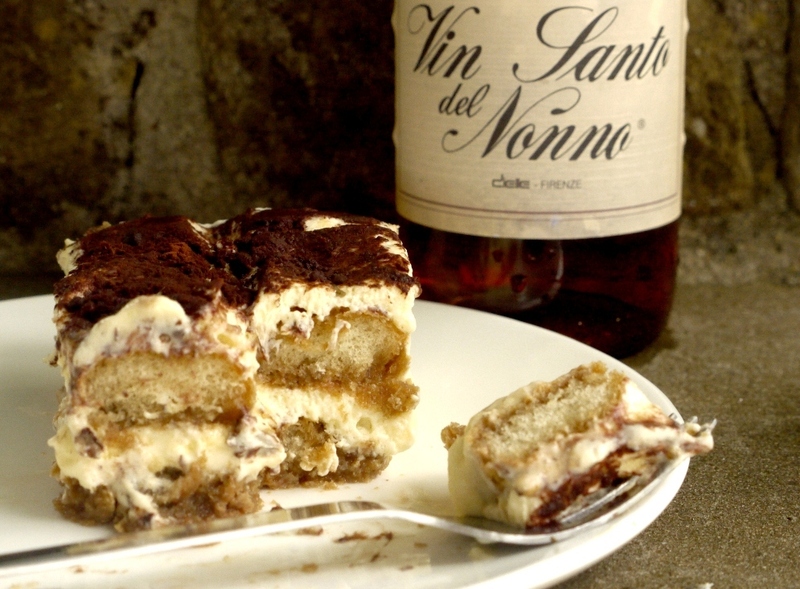 Mix the espresso and Vin Santo together in a shallow dish. Set aside. In a small bowl, whisk together the egg yolks and 75g of sugar until pale and thick, about 3 minutes. Using a wooden spoon, beat in the mascarpone until completely smooth. In a separate bowl, whisk the egg whites with a pinch of salt until they begin to stiffen. Add the remaining 75g of sugar and whisk until stiff. Using a large metal spoon, fold one third of the egg whites into the mascarpone and egg yolk mixture, then fold in the rest. One at a time, dip each savoiardi biscuit into the espresso and Vin Santo mixture, allowing it to soak up as much liquid as possible without breaking. Use your dipped biscuits to line the base of a large rectangular serving dish (mine was about 30 x 15cm). Sprinkle with half the grated chocolate then top with half the mascarpone cream mixture. Smooth flat, then repeat with a second layer of soaked biscuits, grated chocolate and cream. Smooth flat then refrigerate to allow it to firm up, four hours minimum. When ready to eat, dust generously with cocoa powder and serve. Lovely tiramisu recipe. It’s often my ‘test’ order in a restaurant … to see if they do it properly and don’t add lashings of cream … yours looks fabulous and a portion of that would certainly ‘pick me up’!! I love a good tiramisu and there was a time in my life I was making it every week. But now I just find it weird to eat raw eggs….I am not a fussy eater and I will still eat a good tiramisu just not as often. Congratulations for the engagement! I got married in June after being engaged for 18 months and after being together for 8 years. we spent my honeymoon in Sicily. It was paradise. Have you thought about where your honeymoon will be? Keep us updated with all the wedding planning please! So rarely done well, yet always a pleasure when done properly. I’m not really supposed to eat raw eggs and tiramisu is something that I really miss especially as I’d only just discovered that I liked it! One way to circumvent the raw eggs why staying as close to the original recipe as possible is to beat the egg yolks and the sugar over a bain-marie until the mixture reaches ca. 80 degrees Celsius (but not more than 83 degrees or the eggs will curdle). This is supposed to sterilize the eggs making them safe for consumption (the same technique that is used to cook the custard base when making ice cream). You are a mind reader! 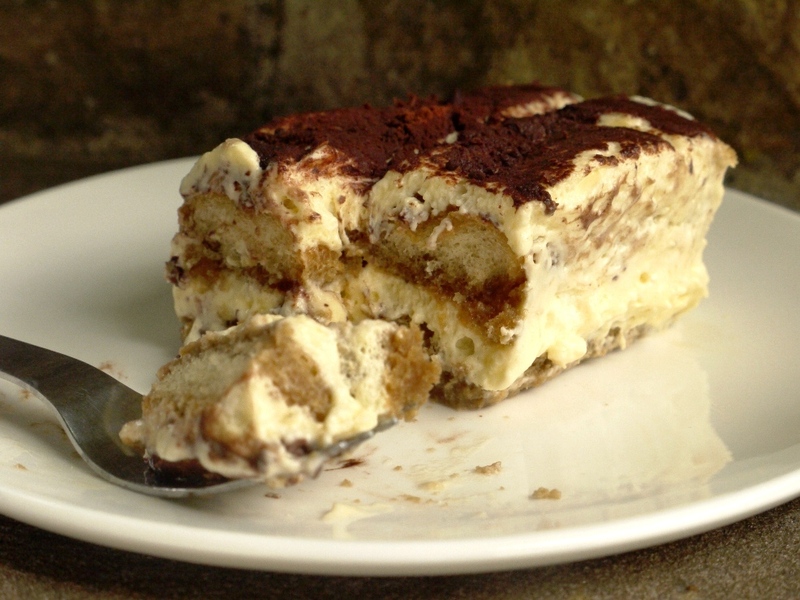 I have been looking for the perfect Tiramisu recipe for my Boyfriends birthday this month, as it is his favourite. 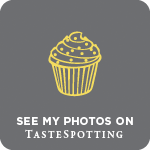 The Single Gourmet & Traveller – I agree, too much cream can make it a bit sickly. I love this version. Nelly – hope he likes it! Let me know how you get on. I adore tiramasu but as my fella’s teetotal and my last attempt was pretty soggy and rubbish its been a whil… Will have to give this a try to rekindle my love… without booze…maybe more coffee?! congratulations btw! Looks amazing yummy. Hope it is delicious too. Thanks for sharing. Haha, I hate how italian food is represented around the world too. Just come to America and you’re in for a wonderful shock! I think if you were to actually make some real italian food, and serve it to a random group of people, they wouldn’t even recognize it. I actually am fortunate enough to have never tried tiramisu outside of Italy. It was so perfect there, I haven’t bothered trying to order it somewhere here. I have always wanted to make it though… love your addition of vin santo, too. Yours looks beautiful! Super impressive! I’ve never made tiramisu, and have to admit I’m a little intimidated by it–but yours looks so good, I just may have to give it a try! I could eat tiramisu all day (even the really bad supermarket stuff!) I can’t wait to try this recipe! Amy – haha, I know what you mean! Vin santo works wonderfully in this, but you could try most kinds of amber-coloured alcohol really. Eileen – I promise it’s really easy! 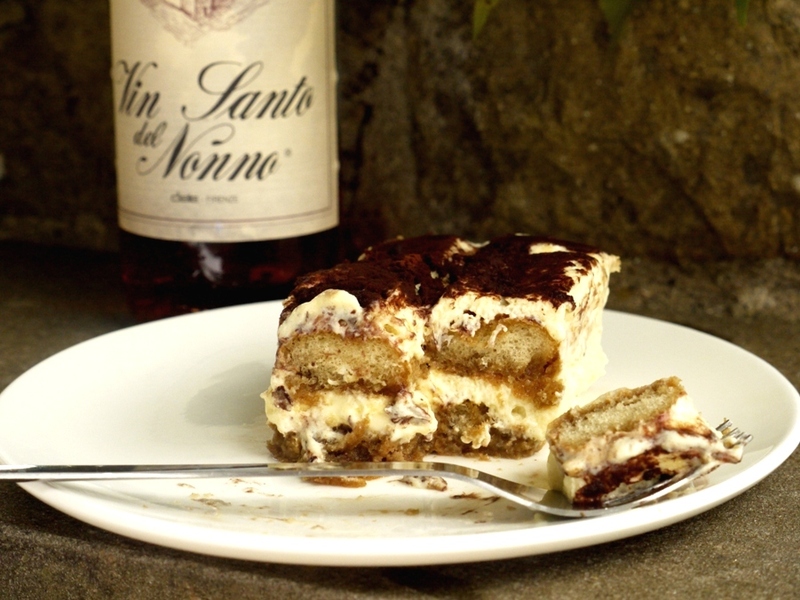 How lovely to make tiramisu with vin santo! This used to be one of my favorite things to make; you’ve inspired me to do it again. Beautiful photos, as always. I’ve never made a ‘proper’ tiramisu…perhaps this is the time try. Looks perfect. I’m using this recipe for a party on Saturday. I’ve found Vin Santo and now hoping for success and compliments especially from my Italian friend Lina.